1. 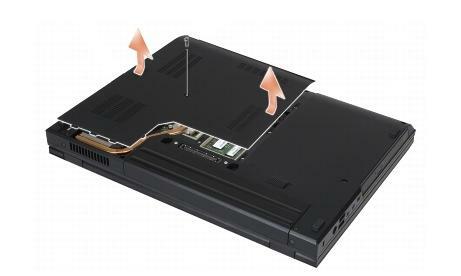 Turn off your Dell Latitude E5400 or E5500 laptop. Disconnect the power adapter and remove the battery. Close the display and turn the computer upside down. A. Loosen the five captive screws securing the bottom of the base assembly. B. Pry up on the recess near the slender edge where indicated and slide the bottom of the base assembly toward the left side of the computer, and lift it up. Remove the single screw securing the bottom of the base assembly. Slide the bottom of the base assembly toward the front of the computer, and lift it up. 4. 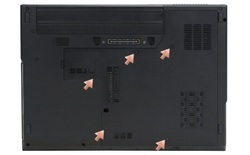 Remove the two screws that secure the fan to the base of the computer. 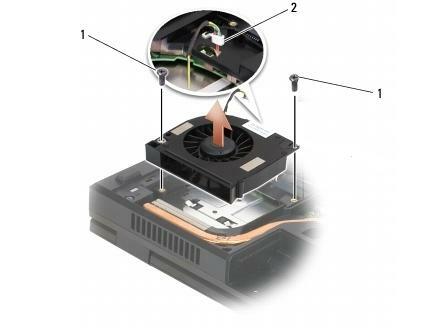 Then disconnect the fan connector from the system board connector, and remove the fan. 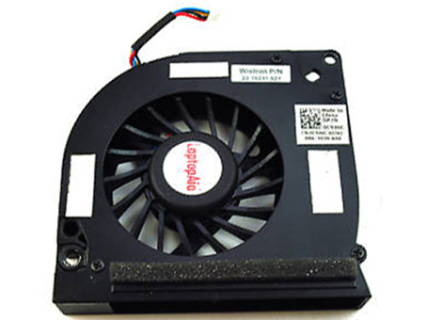 Reverse the procedure to install the new Dell Latitude E5400 / E5500 fan.